Stay connected to the world of FUT 19 with the FIFA 19 Companion App for iOS and Android. Any time, any where. You plan to use the FIFA 19 Companion App but you don’t know when is the release date? Do you know how you can download it? We are here to clarify these and many other details about this app. Is possible to bring your FUT 19 squad for everywhere? With this app you can manage the FUT 19 squad that you have in your PS4, XBox One or PC. There are many people that makes confusion between the FIFA Mobile and the FIFA 19 Companion App. The first one allows you to play the game itself. You don’t need to have a console’s account to play it. The second one is like an Web App for mobile devices. It is an application that gives you the chance to manage your console’s squad in your mobile device. It requires you to have an Origin account connected to FIFA 19 (Xbox One PlayStation 4 or PC). Exchange Players from your Club by building unique Squads and meeting the challenge requirements. Once your Squad is complete, submit it to exchange your Players for exciting rewards, such as different SBC Players, Packs, Coins, and more. Complete full challenges on the Companion App and claim your rewards right away, or plan your Squad on mobile and finish it on your console later. New Challenges will be released throughout the year, so check back often! Never miss out on an important transfer and keep tabs on market activity. The Transfer Market lets you list items from your club and bid on new Players, Consumables, and everything needed to build your Ultimate Team! Returning FUT 18 users will have full access to the Transfer Market when the FIFA 19 Companion app launches. New FUT 19 users will need to play a few games on FUT console before access to the Transfer Market is unlocked on the Companion App. Build out your Club with Packs that can be purchased with Coins or FIFA Points. The FIFA 19 Companion App ensures you’ll never miss a special Pack offer or lightning round. If you want to know what’s new in FIFA 19 Companion App, click here. When the FIFA 19 companion app will be released? Historically, the FUT Companion App is launched on the FUT Web App release date or one day later. This year, the web app comes online on September 19, which means that the FIFA 19 Companion App will probably launch on September 20 (Friday). For the Companion App, you will need to update to the FIFA 19 version on Android and iOS after October 6, 2018. Returning FUT 18 players whose accounts are in good standing can create their FUT 19 Club, start trading, and claim returning user packs. Early access to the Web and Companion Transfer Market ends at 12:00 a.m. GMT on October 8. 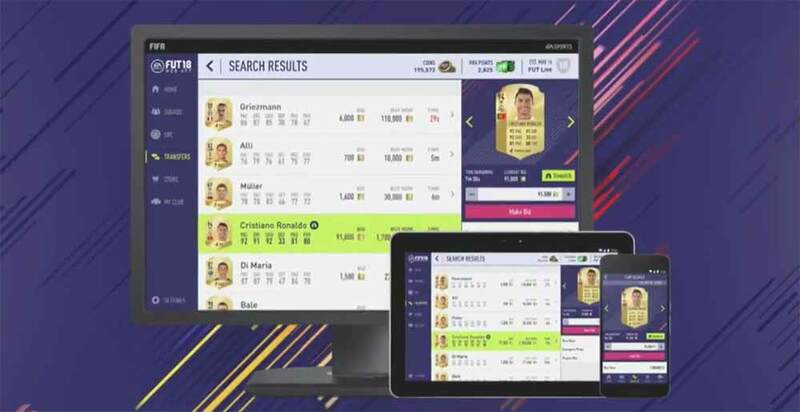 After that, you’ll need to log in to FUT 19 on your console or PC at least once to continue using both apps. ☑️ You must have created a FUT Club before August 1, 2018, to get early access to the FUT 19 Web and Companion apps. ☑️ Your FUT 18 account must still exist. ☑️ Your account needs to be in good standing. If you were banned or had other actions taken on your account in FUT 18, you won’t get early access. Rewards are based on your account’s good standing in the game, along with your player history and engagement. This is why your rewards may be different from your friend’s. Besides that, returning user rewards are tied to your specific console account. So, if you switch platforms or create a new account on the same platform, your rewards won’t carry over. How to get the FIFA 19 companion app? Please make sure your device meet the requirements and remember that this app requires you to have an Origin account connected to FIFA 19 (Xbox One, PlayStation 4 or PC). To use the FIFA Ultimate Team features in this app, you must have a FIFA Ultimate Team Club within FIFA 19 and must have played a number of games to unlock transfer market functionality via the app. Note that you’ll need to start on the web app before you can use the mobile app. If you used the FIFA Companion App for FUT 18, you probably have realized that the app was offline a couple of days to turn your app into FUT 19. After the update, which is automatic, no longer is possible to use this App to manage your FUT 18 club just like it happens with the Web App too. Click here and then in ‘Download‘. You can also open your Apple App Store and search for ‘EA SPORTS™ FIFA 19 Companion’. Click here and then in ‘Install‘. You can also open your Google Play Store and search for ‘FIFA 19 Companion’. No screenshots are available at this moment. A: You will need: an EA Account, a copy of FIFA 19 and a FIFA Ultimate Team Club. Use your EA Account email address and password to log in to the Companion app. Q: This app let me play FIFA? A: No. 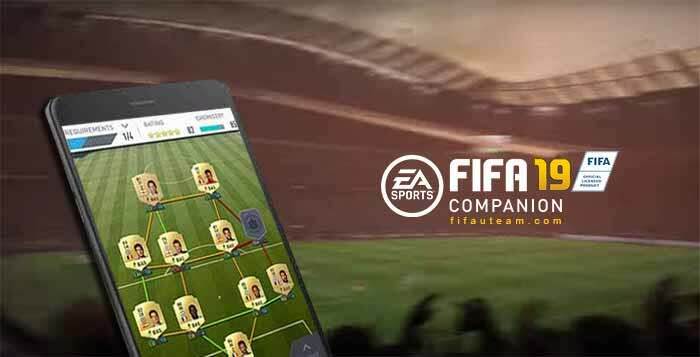 With this app you can access to the FC friends and manage your FIFA 19 squad that you have previously created on the PlayStation, Xbox or PC. Q: What do I need to use the FIFA 19 Ultimate Team features? A: You just need to create a FUT club on your console or PC. Q: I have multiple FUT Clubs. How do I switch between them? A: By default, the Companion app uses your last used FIFA Persona. If you’d like to switch to another Persona, tap the ‘settings’ menu from the Home screen and then tap the ‘persona’ selector. Q: What do I have to pay to use it? A: Nothing. It is free. However, opening FUT packs via the app will cost you FIFA points or coins. Q: Should I use the FUT Web App or the Companion App? 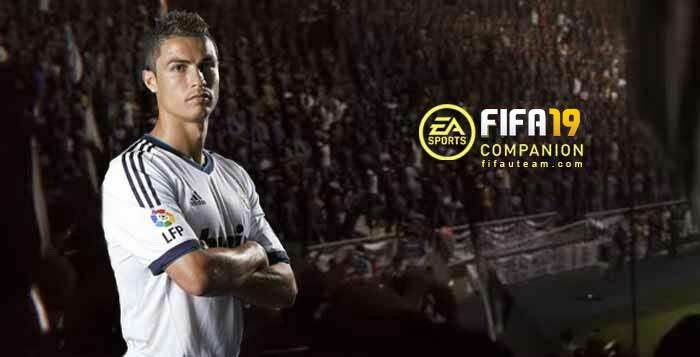 A: The FIFA Web App is available on web browsers while companion app is available on iOS and Android devices. If possible, use both. Q: How can I change the app language? A: It’s easy. You just need to change your mobile language and restart the app. Q: It doesn’t let me in. What should I do? A: Note that you’ll need to start on the web app before you can use the mobile app. Besides that, you can’t log in to your console or PC and use the Companion app at the same time. On your console or PC, log out of FUT by backing out to the main FIFA menu. Then, you can use the Companion app. Q: It is not working. What should I do? A: You can try to uninstall the previous version and install a fresh copy of the new one. Q: How can I buy FIFA Points on the Companion App? A: You can’t purchase FIFA Points on the Companion app. Purchase FIFA Points on your console or PC and they will show up in the Companion app the next time you log in. Q: Why I cannot access transfer market? A: If you’re new to FUT 19, you’ll need to play a few FUT games on the console before unlocking access to the Transfer Market on the Companion app. What’s new on the FIFA 19 Companion APp?